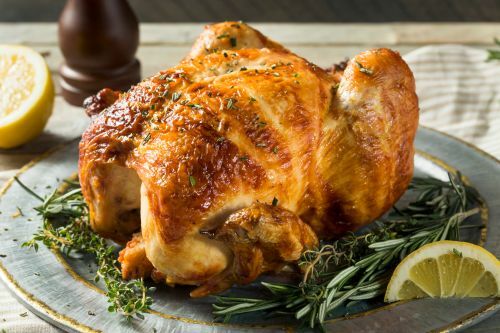 Menulog delivers for Radleys Rotisserie - Sydney CBD so you'll be able to track your courier on a map. All meals comes with your choice of chips, vegetables or salad. Buttermilk fried chicken, coleslaw, caramelised onions and chilli mayonnaise. Sliced roasted beef on a soft bun roll with warm gravy. Black Angus beef patty, American cheese, onions, pickles, mustard and ketchup. Served with hot chips. Black Angus beef patty, bacon, Swiss cheese, lettuce, tomato, pickles, caramelised onions, mustard and special sauce. Served with hot chips. Prime rib, caramelised onions, lettuce, tomato and BBQ sauce. Served with hot chips. Halloumi, spinach, mushrooms, caramelised onions and sweet chilli sauce. Gluten free bun, grilled mushrooms, capsicums, onion mesclun and mild sweet chili sauce.